Here is an important news for the candidates who wish to enroll in MD/MS courses in Chandigarh. The Govt. 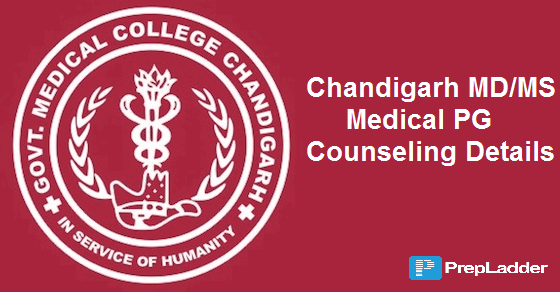 Medical College & Hospital, Sector-32, Chandigarh invites application for admission to 3 year Postgraduate Degree Courses (MD/MS) for the year 2018. We are here to familiarize you with important dates an details related to the admission process. According to the Supreme Court decision, 50% of total number of seats are reserved for All India Quota. The 50% of the total number of seats are reserved for students who have passed their MBBS examination from Medical Institutions of Union Territory, Chandigarh. Out of this, 15% seats are reserved for Scheduled Castes. The candidates should have completed compulsory rotator internship satisfactorily by 31st March,2018. Registration with MCI/ State Medical Council is necessary. One printout of online submitted form along with the self-attested photocopies of the applicable annexures should be submitted either personally or if sent by post/ courier should rfeach GMCH by 26 March’18 upto 4:00PM. List of eligible candidates will be displayed on GMCH website www.gmch.gov.in on 28 March’18 by 5:00PM. Admission will be made strictly on the basis of Rank secured in NEET-PG 2018. Seats remaining unfilled from All India Quota shall be filed from eligible UT Chandigarh Pool General Category Candidates. For more details, you can refer the Prospectus. To apply online, visit http://www.gmch.gov.in/.